On May 17, 1969, a North Vietnamese booby trap killed Army Captain David Rockwell Crocker, Jr., the commander of Alpha Company, 22nd Infantry, and three of his men. Although Dave Crocker’s wife Ruth had his body cremated, she also held a full military burial for a casket filled with her husband’s dress uniforms, her wedding gown, and letters he had written to her during their four years together. 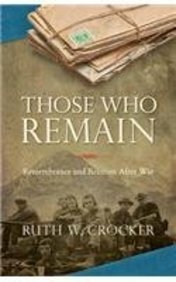 Ruth Crocker’s story in Those Who Remain: Remembrance and Reunion After War (Elm Grove, 283 pp., $18.95 paper; $5.39, Kindle) is a tribute to the power of young love and the depth to which it bonds people. Ruth Crocker tells of her recovery from losing her husband: basically, she had to overcome suppressing her grief. Prior to meeting Dave, Ruth was part of a family closed to outside influences. Her parents owned and ran a Mystic, Connecticut, nursing home. The young couple married the day after he graduated from West Point. He introduced her to the world at large through travels across the United States for military training and while in Germany as an infantry platoon leader and aide-de-camp. They even scaled an “easy” level of the Eiger’s west side. 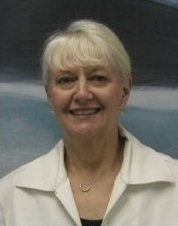 Dave Crocker died two weeks before Ruth was to meet him for R&R in Hawaii. Death was not new to her, except that she had seen it as a process that took time among old people. Instead, her young husband was gone instantly. The Army’s mismanagement of notification, condolences, and information regarding how he died compounded Ruth Crocker’s confusion and helplessness. Her only solace came from her and her husband’s families. The story jumps from when she spread the ashes on Eiger to 2006 to when she first attended an Alpha Company, 22nd Infantry reunion. The men of the company taught her that “fallen friends are ageless, frozen in time.” Their memories of their Captain were as vivid as hers and validated her feelings for him. Since then, she has attended all of the company’s reunions. Encouragement from men at the reunions led her to dig up the gravesite. Opening the casket produced shock and disappointment along with enlightenment. The uniforms, gown, and letters had dissolved into a soggy clump. Ruth Crocker remembered that she had delivered Dave to the Eiger: that part of the story was perfect—and perhaps enough.